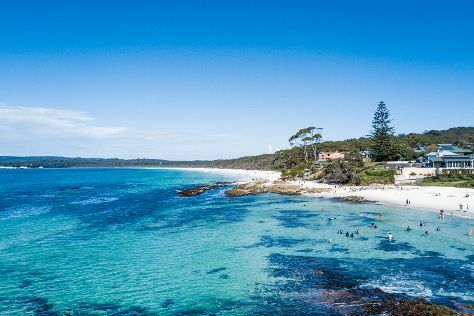 On the 29th (Sat), visit a coastal fixture at Cape St George Lighthouse and then kick back and relax at Hyams Beach. To see maps, more things to do, other places to visit, and more tourist information, read Jervis Bay trip maker app . Sydney to Jervis Bay is an approximately 4.5-hour train ride. You can also take a bus; or do a combination of train and bus. Plan for little chillier nights when traveling from Sydney in December since evenings lows in Jervis Bay dip to 17°C. Wrap up your sightseeing on the 29th (Sat) early enough to travel to Batemans Bay. To find ratings, where to stay, more things to do, and other tourist information, refer to the Batemans Bay route maker website . Getting from Jervis Bay to Batemans Bay by car takes about 2 hours. In December, daytime highs in Batemans Bay are 30°C, while nighttime lows are 17°C. Wrap up your sightseeing on the 30th (Sun) to allow time to travel to Eden. To find other places to visit, ratings, traveler tips, and tourist information, refer to the Eden trip builder app . Getting from Batemans Bay to Eden by car takes about 3 hours. Traveling from Batemans Bay in December, expect nights in Eden to be about the same, around 16°C, while days are slightly colder, around 26°C. Wrap up your sightseeing by early afternoon on the 31st (Mon) to allow time for travel back home.